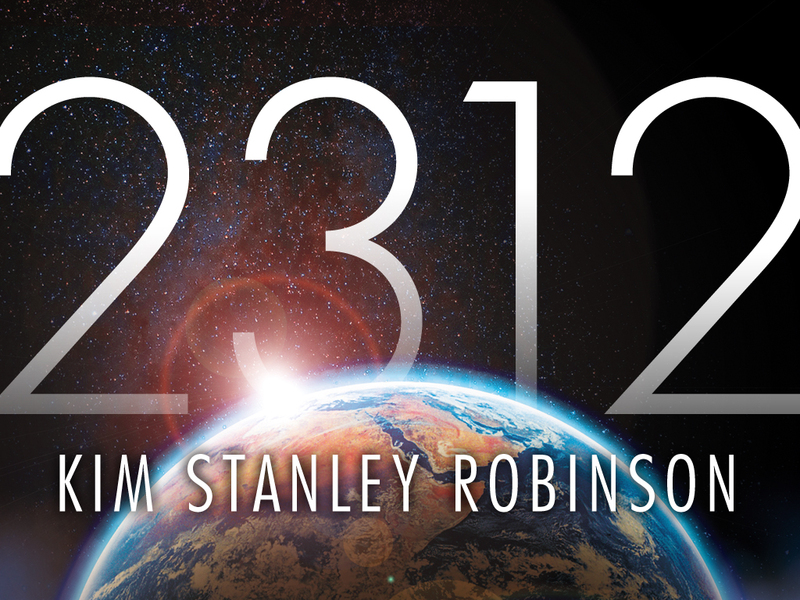 This week, Kim Stanley Robinson’s 2312 (US | UK |AUS) was released in paperback! 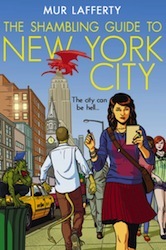 Robinson’s beautifully crafted novel came out over a year ago, and what a year it’s been. 2312 has since won the Nebula Award, was nominated for the Hugo and Arthur C. Clarke Awards, and was a Tiptree Award honoree. 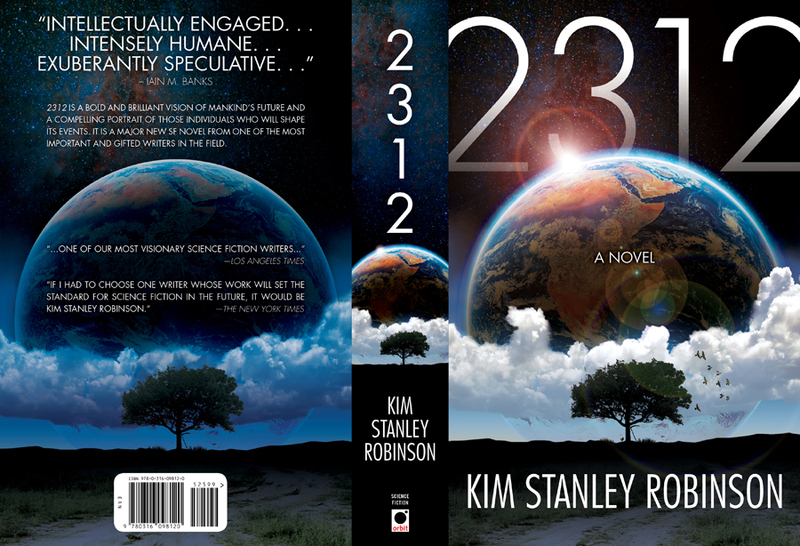 So if 2312 has been on your radar, now is a pretty good time to pick it up in paperback. The last twelve months have seen some pretty big triumphs and losses in the space sciences, too. Let’s take a moment to reflect on some of those historic developments. 1. Asteroid Miners Wanted: The private sector has taken some huge leaps forward this year. 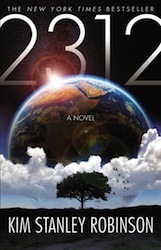 In fact, when 2312 was released in hardcover, an asteroid mining company called Planetary Resources launched with the goal of eventually mining precious resources from near-earth objects. 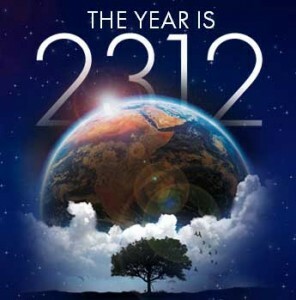 The timing could not have been more fitting since one of the technologies explored in 2312 is the mining and terraforming of asteroids. Most recently, Planetary Resources is wrapping up a Kickstarter project to fund their ARKYD telescope raising over $1,000,000 in the process. 2. Here Be Dragons: The private sector scored another big win that summer when Space X successfully launched and recovered their first Dragon spacecraft — becoming the first commercial spacecraft to dock with the International Space Station. Space X has a lot of great footage of their missions on their website which you should really check out. 3. Retirement of the Shuttle Program: One of the sadder stories of the year was the retirement of NASA’s shuttle program. Although I’m tickled pink to be able to visit the Shuttle Enterprise at the Intrepid Museum here in New York ,it is somewhat depressing to realize that the shuttles have all been grounded permanently. 4. Curiosity Arrives on Mars: As one era closes, a new one begins. On August 6th, 2012 Curiosity landed on Mars. Unlike Spirit, which landed in 2004 at a time when fewer of us had high-speed Internet and vast social networks, Curiosity’s exploration of the fourth planet from the sun is something we can all easily feel connected to. 5. Voyager Missions Celebrate 35 Years in Operation: Launched in 1977 (the same year as Star Wars: A New Hope! ), Voyager 1 and 2 are both still flying strong. Although neither probe has reached interstellar space yet, Voyager 1 penetrated a new region of Deep Space in December 2012, which is reason enough to celebrate and break out the Romulan ale. 6. Sally Ride, Neil Armstrong, Janice E. Voss, and Alan Poindexter Pass Away: We sadly loar several pioneers of space exploration in 2012. May they rest in peace and may the mission continue. 7. Chris Hadfield becomes my new favorite person: There really isn’t a better way to close out this list than by directing you to Commander Hadfield’s Youtube channel and what might be the best cover ever. I could probably go on – and on and on – about this, but I’ll stop there and turn it over to you. Let us know what made your highlight reel. Were you able to see any of the shuttle fly-overs? Show us some pictures! We were thrilled to see some Orbit books and authors on “Best of” round-ups for 2012. See below for some great recommendations! To find out more about these titles and where you can purchase them, visit our corporate websites in the (US | UK | AUS). 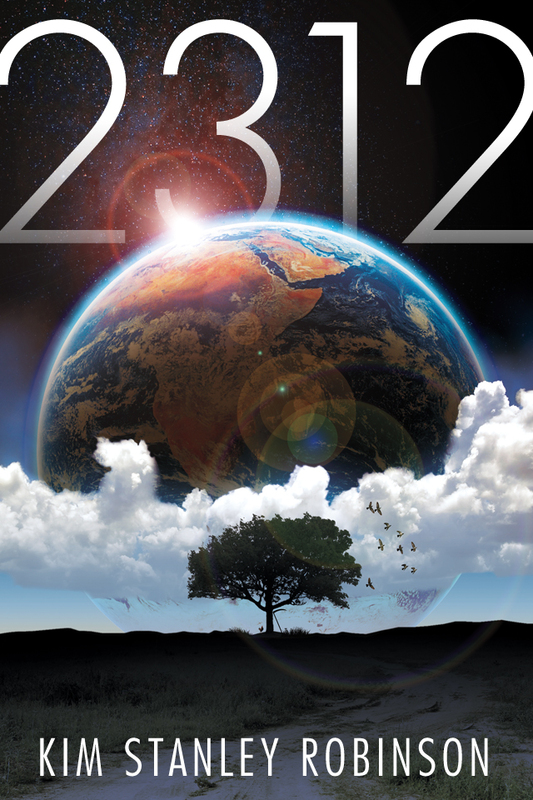 Feel free to share your favorites from 2012 in the comments below. In his stunning novel, 2312 [UK | US | ANZ], Kim Stanley Robinson combines detailed research with a vivid imagination to create the most incredible descriptions of our galaxy 300 years in the future. While he was in the UK, we filmed him reading from the book at Toppings in Bath (big thank you to Jeanette Weston at Magus Studios). Here he reads a passage depicting dawn on the planet Mercury… prepare to be entranced. 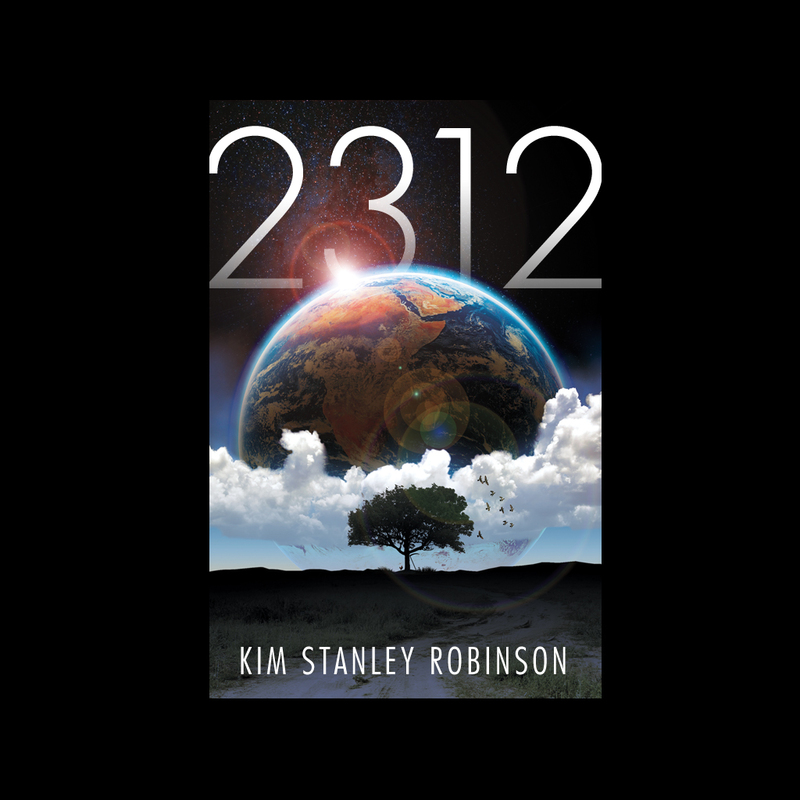 It is appropriate that on the launch day of 2312 (US | UK | AUS) by KIM STANLEY ROBINSON, we also celebrate the unmanned flight of SpaceX’s Dragon shuttle aboard the Falcon 9 rocket. But until room opens up on those shuttles for the rest of us, pick up 2312 and travel to the future today. “2312” does what sci-fi is supposed to do: combine enthralling scientific sweep with envy-inducing human interest. And if you thought that was interesting, just wait. Next you can walk-through the same steps and build your own “Terraria” from an asteroid – like those in 2312! Remember a home is what you make of it. 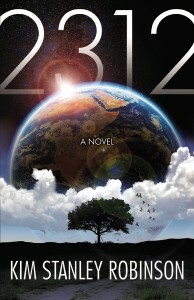 What is remarkable about 2312 is how topical this book is to the present day. 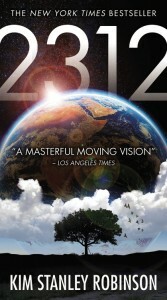 It was a month ago that Planetary Resources announced their plans to mine near-earth objects to world-wide enthusiasm. Over 2,000 engineers have already applied to work on the project. 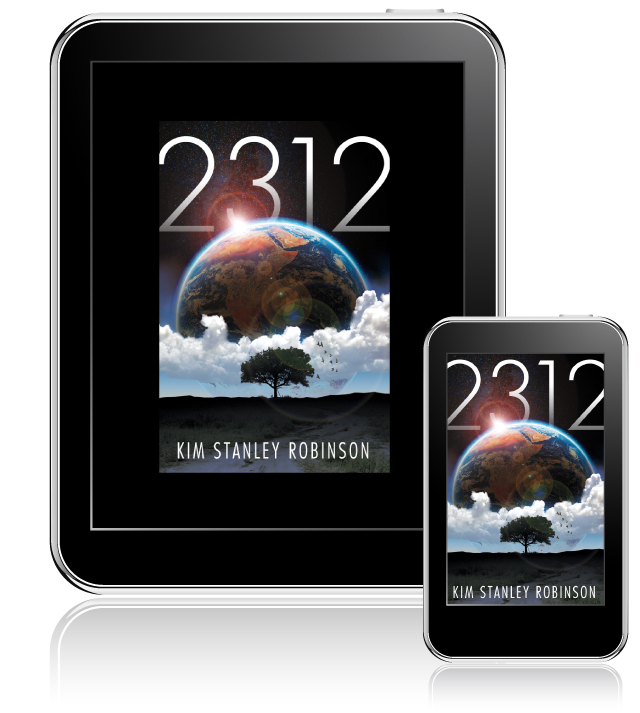 Working together like this, a future such as the one laid out by Kim Stanley Robinson in 2312 is more than possible. 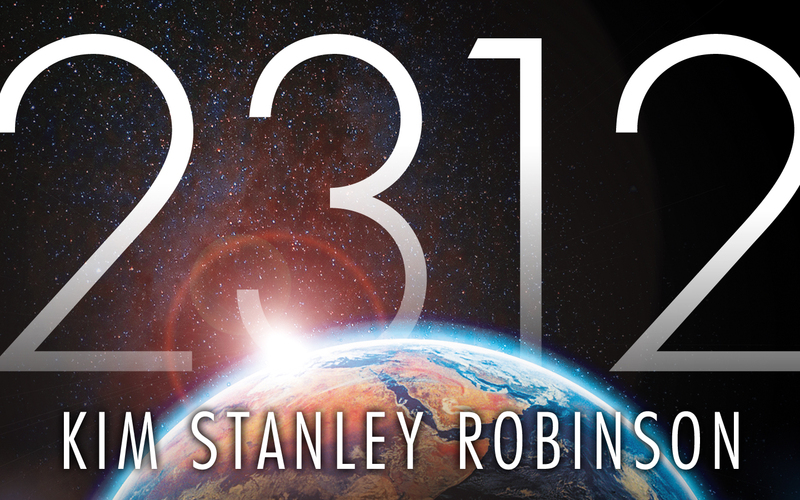 In advance of the release of Kim Stanley Robinson’s 2312 (US | UK | AUS) we’ve launched a website that walks you through the process of terraforming an asteroid. Build an asteroid terrarium like those in 2312, with any possible landscape – above or below water; one that preserves an existing Earth species or creates new hybrids in never-before-seen environments. Look for 2312’s release on May 22nd! 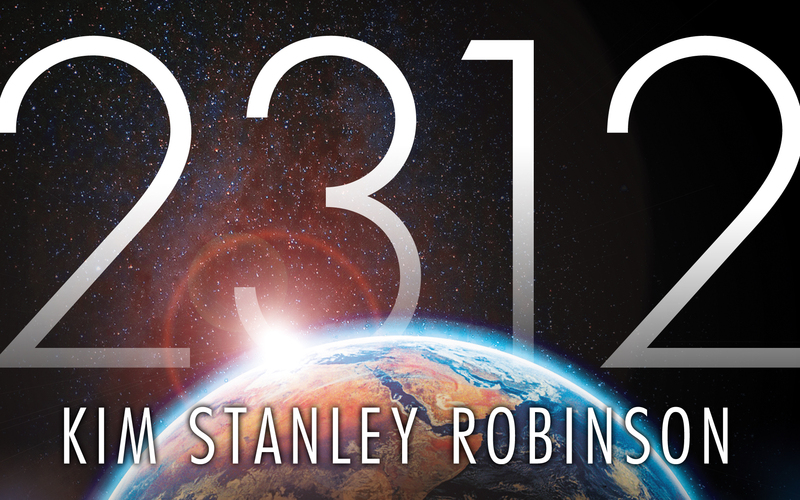 2312 by Kim Stanley Robinson is coming out at the end of May around the globe (US | UK | AUS). Last week I posted some wallpapers, and this week I want to explain some of the thinking that went into the design of the book jacket. The goal was to create a cover that would signal a big book about space, but we also wanted something that reinforced the timelessness of the storytelling by bringing in mythic symbolism. The cover isn’t a literal snapshot of anything in the book — it’s a collection of symbols that evoke the story. 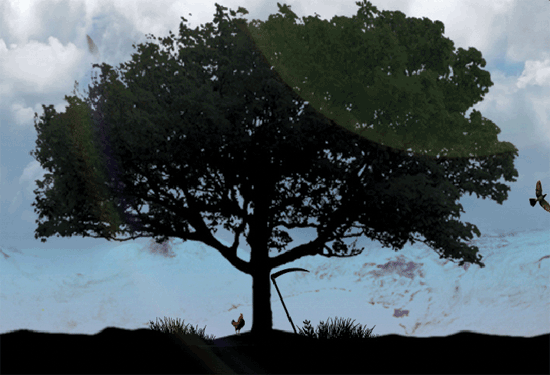 I don’t want to give away too many of the book’s secrets (some of which are hinted at in the design) but I will explain why there’s a rooster and a sickle silhouetted against the tree. 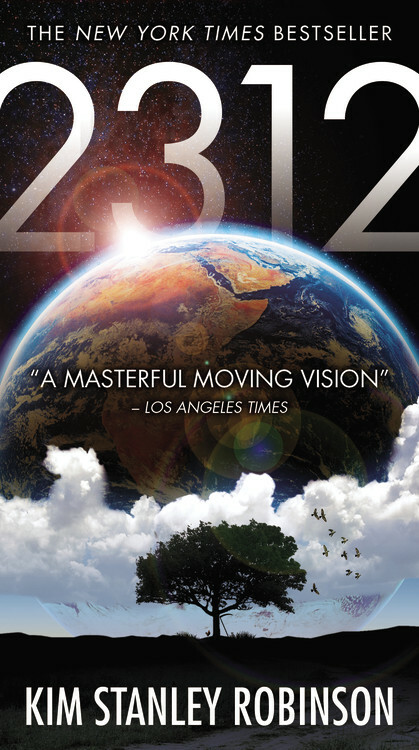 The two main characters in 2312 are from Mercury and Saturn. You probably remember that in Roman mythology Mercury (like Hermes) wore winged sandals and bore a caduceus. He was also often accompanied by a rooster (representing the new day.) Saturn — the god of agriculture, justice and strength — held a sickle in his left hand and a bundle of wheat in his right. So these two symbols represent two of the key locations in the book. 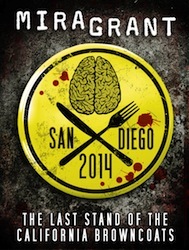 There’s also a very simple visual story in the design. As you roll the book over from the front, to the spine, and to the back, you’ll notice the sun going down on each image. You’ll also notice that the rooster isn’t on the back cover. Why? There are a few possible interpretations for this. But there’s also a straightforward scientific explanation in keeping with the rigorous logic of the book. Why isn’t the rooster on the back cover? So that’s a bit of background on the design thinking that went into the cover. You can enlarge the cover below to see the sun setting effect. This was a really fun project and one (as I always do) I feel lucky to be a part of.